Little tots get anywhere and everywhere, making them super susceptible to getting ill. Having young nieces and nephews has shown me just how easily children can feel under the weather. Although it is inevitable, parents do their best to try and avoid it. Whether it be wrapping your kids up warm or getting them to wash their hands. However, sometimes you just can’t beat the lurgy, and this is where medicine can come to the rescue. As much of a Godsend medicines are though, mistake happen frequently, like accidentally storing medicines improperly for example. Could you be making any of these medicine mistakes? Doctors determine the type and dosage of medicine and the exact length of medicine prescriptions depending on the individual. When a full course of medication is not administered, this increases the chances of the illness reoccurring and the medicine being ineffective. To think you could be over-dosing and under-dosing your child without even knowing it is truly terrifying. Everyone knows that it is important to give the correct amount medicine and you can do this by reading the information leaflet provided or by asking your doctor. However, even when you follow the instructions there are still things to keep in mind. In terms of measuring at home, use a measuring cup on a flat surface to reduce the chance of unintentionally pouring too much or too little. Crushing tablets is also often seen as an easy way to get stubborn children to ingest tablets without a struggle, however this changes the formation of a tablet and can lead to further issues. To avoid this, ask your doctor if there is a liquid medicine version that will help you administer the correct dosage without difficulty. 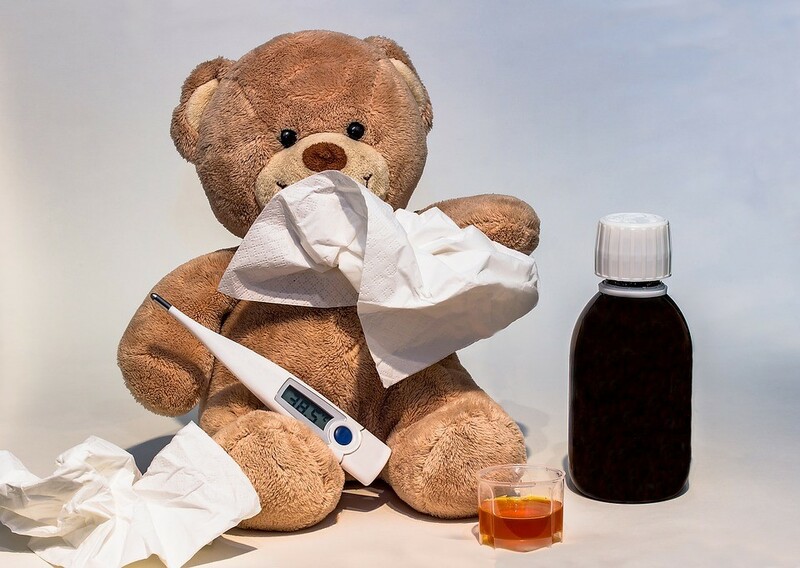 Medicines like Calpol are regularly used to treat minor colds across most children. Even though this is openly available to any parent and not extremely harmful, it is not recommended to share bottles and syringes. Of more concern, is sharing prescribed medicines like antibiotics. When a health professional decided to give a child medication to treat their ailment, the dosage recommendation would be based on their patient’s individual profile including their age and weight, therefore the prescribed medicine will not be appropriate for another child. Sharing medication can lead to the administration of an incorrect dose or active ingredient causing further complications. Often medicines are required to be stored in a cool dry place or even refrigerating. Many like storing medicines in a bathroom cupboard however, where the heat and moisture from taking a shower can change the environment rapidly. Read the information leaflet carefully and assess which area of your house is most suitable. Most importantly, medicine needs to be up high, locked and away from children. Storing on top of counters is not recommended as children have the ability to get everywhere, something which I see often with my nieces and nephews! If your child has a cough a few months on from a previous one, it may appear to be the same strand of virus. This is why some parents would think to use the rest of a bottle of medicine previously administered for another cold. Treating medication in this manner is a sure fire way to end up giving your child the wrong medicine for their needs. Not only that, medicines have sell by dates which need to be taken into consideration. Make sure to review your stores regularly and throw out old medicine safely. When your little one is poorly (which can happen regularly given all their exploring) all you want to do is make them feel better and fast! Children’s medicines are great for getting them back up and out playing, but even when you follow the guidelines it can still be easy to make mistakes. If you read and remember these tips, you should be all set to give your tots what they need and in the perfect dose and condition! Previous Post Help! I Need a Baby…Gift! Next Post How to Make Small Spaces Look Bigger!